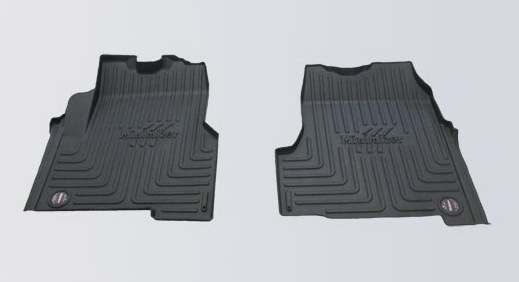 Minimizer manufactures poly truck fenders, poly toolboxes, custom floor mats, custom mud flaps and truck accessories. Minimizer uses durable materials and proprietary processes to build long lasting products that are tough enough to please people in a tough industry. Use Minimizer’s innovative fenders and mud flaps to make your truck stand out from the rest. Minimizer offers a variety of semi truck fender styles, colors and options. With an outstanding reputation of quality, durability and style, our fenders will enhance your trucks appearance and lifespan. 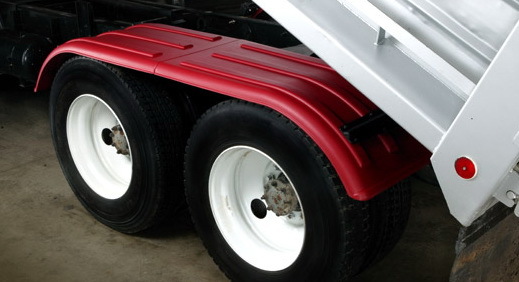 Minimizer plastic truck fenders never rust because they are 100% Polyethylene. The color is molded throughout so fender chips, scuffs and scratches can’t be seen. The fender never needs to be painted and never fades. The Minimizer™ fender itself should never need maintenance other than the occasional wash using any all purpose cleaner. Contact us for more information on semi truck fenders. 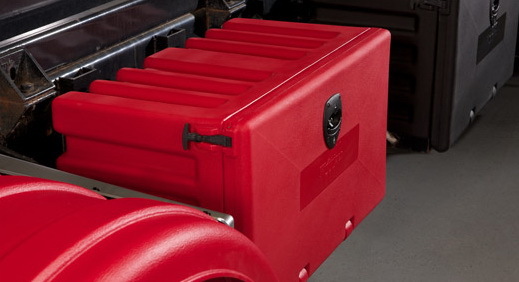 Truck and trailer tool boxes – like the fenders – are tough enough for the most demanding worksites and weather. Minimizer toolboxes make for indestructible transportation boxes when shipping, moving or storing your gear. Made of solid molded plastic material our tool boxes will never rust, crack or need paint. Don’t let their 27 lb. frame fool you – these boxes are no lightweights. Many accessories are also available from Minimizer.